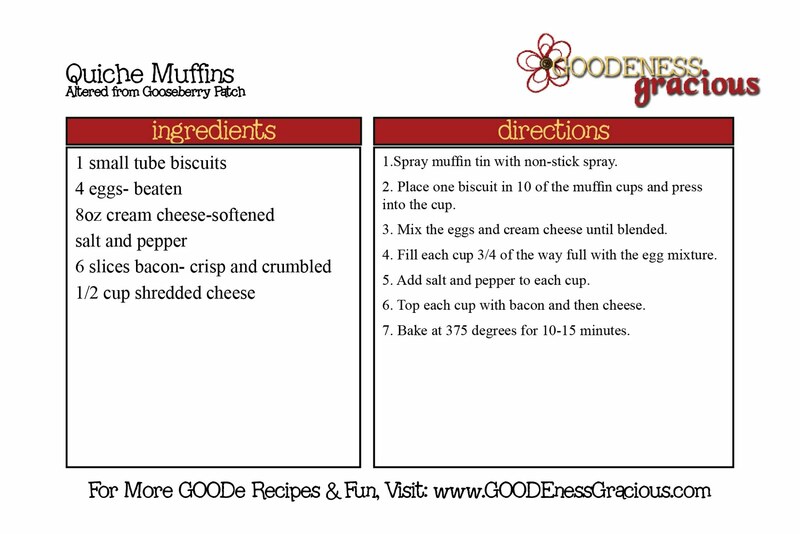 Yesterday I shared with you about my Broccoli Cheddar Muffins and today I am continuing that series with these yummy Quiche Muffins altered from a recipe that Gooseberry Patch shared on Fox 28 a while back. 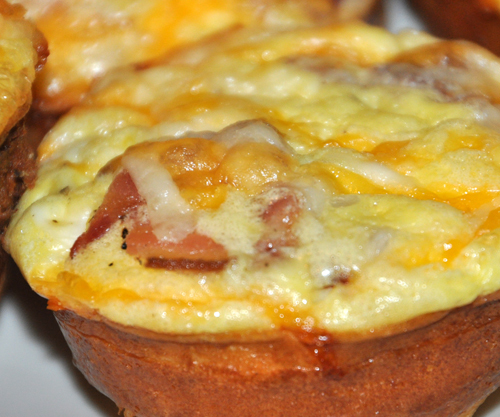 Truth be told, these yummy little babies remind me a lot of one of family favorites: Ham and Cheese Cups. Then I added crumbled bacon on top. Now bake up at 375 degrees for 10-15 minutes until set. Now, I am fairly confident these will freeze well, since the ham and cheese cups did well. However, you simply MUST try one of these straight from the oven… absolutely delish! Click on the card to print the recipe only. I should have sent you some of my pics, but I will save my blog for later, and then I can send everyone back here to see your smaller version ( I made the big kahunas! ) These are SOOOOOOOO good! oh my …. I wish I would have seen these yesterday, I could've made some royal quiche muffins. Yummo. Girl.. you are filling up my 'must try this recipe' file! Have a great weekend, and hope you get some more yummy cooking in.